Rovio is making waves in the gaming industry. 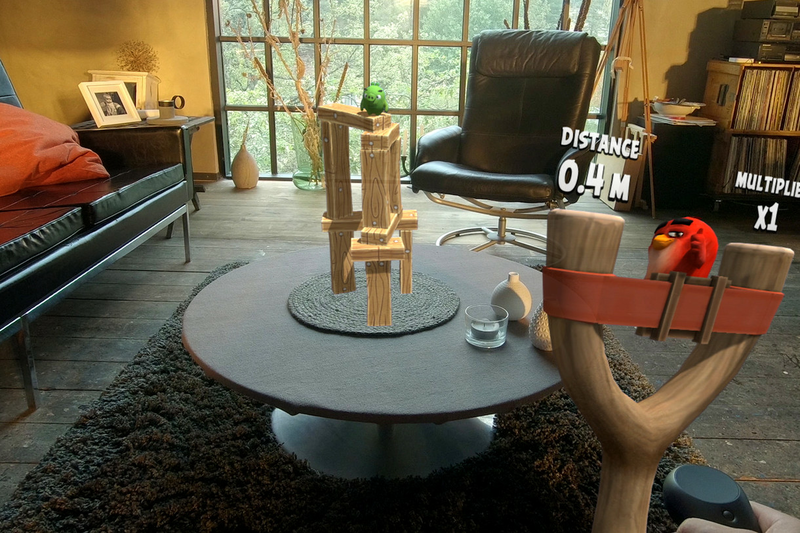 The groundbreaking offering from the renowned gaming company is a mixed reality version of Angry Birds. The popular game has been envisioned in both augmented reality (AR) and virtual reality (VR). Ville Heijari, CMO of Rovio, spoke to the Standard regarding the development. He explained that Rovio is eager to explore future possibilities in gaming and devices that will be used in the next few years. Heijari also explained that mixed reality, spatial computing, and augmented reality are all grabbing the interest of the company. Rovio had entered into a partnership with AR firm Magic Leap earlier in the year, which culminated in Angry Birds: FPS; the very first game for the Magic Leap One AR headset. The game offers a tabletop experience, where users can launch birds with a large slingshot. The experience is quite natural as users can get into the mix right after wearing the headset, and the One controller is quite instinctive. Users can enjoy 28 levels in total that can be played repeatedly from various angles. It is a thoroughly enjoyable experience for gamers. Still, there are concerns regarding the viability of this type of gaming, as the Magic Leap One headsets are currently not available outside North America. The price point of $2,000 is also a hindrance for many potential users, who might only be able to get their hands on demos. Heijari revealed that Rovio was focused on mixed reality and wanted to make some form of a remarkable breakthrough in it. Based on his insight, the company is on its way towards greater innovation, which will act as a springboard for the continual development of applications for various AR and VR devices. Another significant development from Rovio is its latest game, titled – Angry Birds VR: Isle of Pigs. Set for release during the early stages of 2019, the game will take users on a unique voyage to an island infested with mischievous pigs. Rovio has chosen to collaborate with Resolution Games to bring the new AR and VR Angry Birds editions to life. Tommy Palm, CEO, Resolution Games, stated that the association of the two companies is a welcome move. He considers Angry Birds to be one of the pioneering touchscreen games across platforms, stressing that it delivered a rich, fun and intelligible experience for users. The development phases of both AR and VR games are quite similar. This was evident by Resolution Games’ move to create Angry Birds: FPS in VR beforehand, as the Magic Leap headset was not yet ready. Augmented reality has various advantages when it comes to applications related to gaming, as compared to VR. According to Palm, unlike the completely virtual environs of a VR setup, AR does allow users to check out their world even with a headset. He believes that Angry Birds is a franchise with content that can easily incorporate AR and VR elements with great ease.